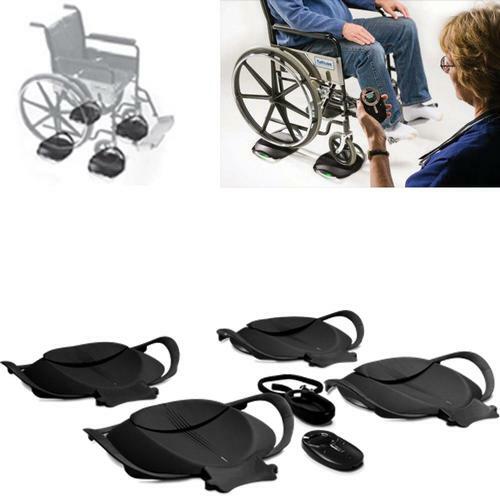 THE WIRELESS WHEELCHAIR SCALE is lightweight, making it ideal for portable home health providers yet heavy duty and durable so it can withstand the repeated weighing requirements of long term care and hospital environments. To weigh a patient, a health care provider places a weighing pad in front of each wheel and simply rolls the wheelchair onto the four pads. The pads communicate wirelessly to the handheld controller, which combines the measurements from each pad and displays the total weight.